PIONEER Computers Australia have unveiled the DreamBook Light M71. Featuring a 10.2 inch WSVGA TFT LCD with a resolution of 1024 x 600, the DreamBook Light M71 is the new generation of full function ultra-portable notebooks, powered by Intel Atom processor N270. 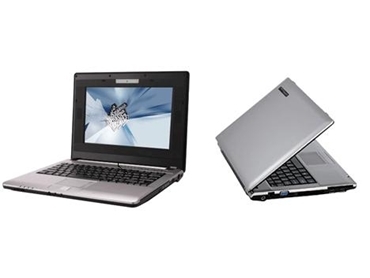 The DreamBook Light M71 comes with multimedia features such as an internal DVD writer, Direct Sound 3D and 2.0M video camera. The full size keyboard is easy for data input. The long battery life of more than 240 minutes with four cell battery without ODD is suitable for mobile users or students. Storage capacity is optimum with the SATA hard disk drive. The DreamBook Light M71 is available from PIONEER Computers Australia on a build to order basis.